So, begins and ends the one paragraph devoted to women’s work in Pierre Boucher’s seminal book Canada in the 17th Century. 2 In fact, Boucher spends more time in his book describing native women and their unusual ways than he does describing these pioneering French women. He either thought women’s work too obvious to detail or he didn’t actually know much about it. This is a problem for writers like me who desire to write a story about their filles du roi ancestors. There’s little information out there about them that is not statistical, transactional, or speculative.3 In my case, I wanted to write about Francoise Boivin, whom I have at least twice in my mother’s tree. According to Nos Origines, Francoise, who gave birth to eight children, has around 700,000 to one million descendants. Boivin is especially interesting because there appears to be some question as to whether she was, indeed, a genuine fille du roi; whether she married her husband Louis Lamoureux twice, once in France and once in Quebec, and whether she was an orphan, like so many of these women, or she came to New France with both her parents. Suzanne Desrochers, a York University scholar, used her 2007 Master’s thesis to explore the challenges involved in researching background about the filles du roi. Desrochers, too, wanted to write an historical fiction piece about such an ancestor, but was stymied by the lack of evidence. Also, no records were kept in France side with regard to filles du roi emigrations, and the story of women in France in that era is undocumented, too. Historian James B. Collins*5 investigated this issue in an article he wrote in 1989. By digging through wills and notarial records he uncovered a paradox of sorts: French women had fewer public rights in the 17th century compared to before and afterwards but some of them had economic clout in the private sphere. This is because wives’ sidelines were often what kept a poorer family afloat. These sidelines often involved the producing of alcoholic beverages like cider and wine, activities Boucher doesn’t describe in his book. One wonders, did some of these women transfer these lucrative skills to New France? In her thesis, Desrochers suggests that women in New France, by virtue of their rarity, probably enjoyed higher status than their equivalents back home where women outnumbered men, but nothing can be proved. It would be nice to think it was so, wouldn’t it? This would be a perk, perhaps, to make up for the fact that Canadian women back then gave birth on the cold floor, even in the dead of the winter, so as not to soil the family bed. 1. According to Peter J. Gagné in King’s Daughters and Founding Mothers, a true fille du roi is one of the ‘girls, women, or widows who went to Canada at the expense of the King in convoys recruited and conducted by French authorities, who were established in Canada by the Intendant and who received at marriage a King’s gift of 50 livres for commoners and 100 livres for demoiselles and sometimes, (but rarely) even more.’ P. 42. Gagné’s meaty two volume set contains extensive bios about each fille du roi, and a lengthy introduction revealing, for instance, the clothing in the ‘trousseau’ given each King’s Daughter and the conditions of the ocean voyage they had to endure. (All information is gleaned from bits and pieces of evidence out of New France.) It is said that while waiting for husbands in New France, these fille du roi were taught cooking, needlework, knitting and how to make home remedies. Still, there is only speculation as to the truth of these women’s lives: their particular origins, circumstances, hopes, fears and motivations. These females are spoken of, for the most part, as commodities. An example: the introduction contains an anecdote claiming that the future husbands preferred, for practical reason, fatter girls over the thin pretty ones, rural girls over city girls. At the same time, it is assumed any fille du roi was in the driver’s seat with respect to courtship, because, by contract, she could turn down any marriage proposal. One line in Gagné’s book is especially irksome. An observer who has met two young filles du roi claims that their personal stories are such, they would fill novels, but he gives no further details. What a missed opportunity! This is exactly what everyone today is looking for! 2. Boucher, Pierre, Canada in the 17th Century. Translated by Edward Louis Montizambert. Archive.org. 4. Desrochers, Suzanne. Women of their Time: Writing Historical Fiction on the Filles du Roi of 17th Century New France. York University, 2007. Electronic thesis available at the Theses Portal, Library and Archives Canada. 5. Collins, James, B. The Economic Role of Women in 17th Century France. French Historical Studies. Volume 16. No. 2 Autumn. 1989. 6. According to Desrochers, it is estimated that 1/3 of the filles du roi came from La Salpêtrière, a Jesuit-run Paris hospital/workhouse for orphans and widows and other unfortunates including young and older women ‘of good moral character’ who were trained in the household arts and likely forced to emigrate to New France and other French colonies like Martinique. Desrochers wonders whether the fille du roi immigration was voluntary. Records indicate that many French men of similar backgrounds who emigrated to New France in the 1600s did not stay, but the filles du roi mostly stayed. Gagné claims that around 50 filles du roi returned to France. 8. Landry, Yves. Les Filles du roi au XVIIe siècle. Bibliotheque Quebecois. This is a topic of great debate among historians, whether these ladies were filles du roi or filles de joie. Desrochers says there is no way to tell. The VD theory is postulated by Yves Landry in his book, where he cites statistics about fille du roi fertility and longevity. It is important to note that families in New France were offered financial bonuses for having a slew of children. This compilation is a list of villages, towns and townships in Quebec where various groups of people settled. Many of these places have changed names or disappeared over the years. This compilation includes an article by Huguenot researcher René Péron, the names of Protestant ministers who served these French-speaking congregations and a bibliography for further reading. It includes brief histories of 187 churches, including Anglican, Baptist and other denominations, in which Protestant Quebecers have worshipped between 1600 and today. Finally, this extensive compilation tells you where to find the parish records of these churches. This post links to several databases and websites. This post covers records of renouncements of faith by Huguenots in New France. Many people know that the Huguenots were French Protestants who suffered persecution and left France around the 1600s to live in other countries where they felt more welcome. But not many genealogists know that it may be possible to trace their Huguenot ancestors in France. Doing this search online is possible but difficult, so the PDF document below is designed to help. The Huguenots were members of the Église réformée de France (Reformed Church of France). Some historians estimate that Protestants accounted for 10% of the population of France in the 16th century. That changed following the 1572 St. Bartholomew’s Day massacre in Paris. Over the next 200 years, the Huguenots left France for England, Sweden, Switzerland, Prussia, Ireland, South Africa, Dutch East Indies, and other countries. A few families settled in New France (Quebec) and Russia. Today, the descendants of these Protestant families can be found around the world. The 93 départements of France in which Protestant families resided during the 16th, 17th and 18th Centuries (1565-1721) A département is like a state. Since the end of the French Revolution (1789-1799), France has been divided into 95 such states, and each département keeps its records in its own regional archives. There are no archives for Bretagne, Normandie, Aquitaine, Aunis or Bourgogne, nor for any of the more than 40 ancient provinces of France that existed prior to the French Revolution. 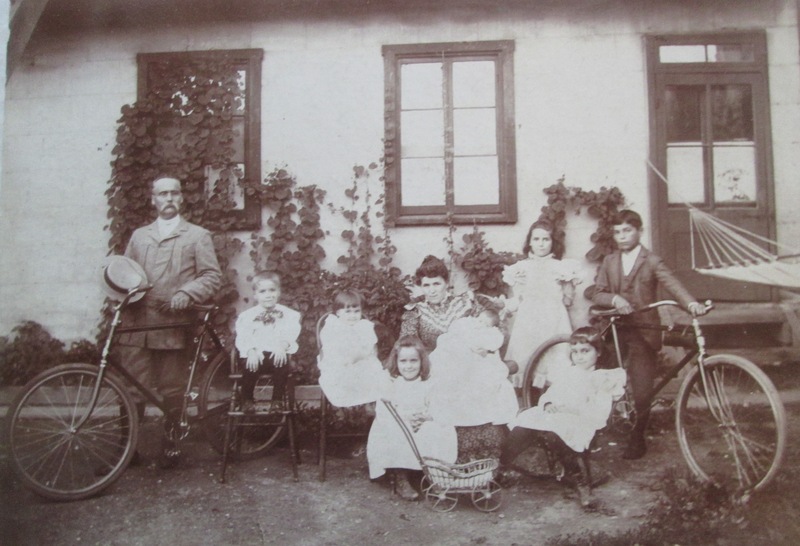 Before you search for your ancestor, you need to know where the family originated in France. All online family lineage searches in the 95 archives départementales of France (Regional Archives) are done by communes, meaning villages, towns, townships or cities. From 92 of the 95 archives départementales of France (regional archives), you can look for your ancestor’s commune and then search church registers (registres des paroisses) from 1535 to 1789 or thereabout, civil registers after 1789, tables décennales (civil registers from 1789 onward by 10-year periods), notarial records. Notarial records are some of the oldest online documents you can access online. Other online databases on the archives départementales de France will probably not help you in determining the places of origin of your Huguenot ancestors, because these date from after the French Revolution. I have prepared a research guide to the archives départementales of France (See Jacques Gagne, “Researching French Ancestors Online,” Genealogy Ensemble, May 13, 2018, https://genealogyensemble.com/2018/05/13/researching-your-french-ancestors-online/) In that PDF, I have described the documents which can be viewed online for free. If you are looking for Huguenots, concentrate on the Parish Registers (Church Registers, Registres paroissiaux or Registres de paroisses) from as early as 1535, and Notarial Acts (Actes des notaires.) A few of the notarial acts are from the 15th century, but most from the 16th or 17th centuries. A third option deals with Protestant Church Registers (Registres protestants or Registre pastoral or Registres des Pasteurs), These are the few Protestant church registers that have survived. Another option for searching the Archives départementales de France is, once you have determined the name of the ”commune” your ancestor resided in, go through the index of family names within the ”commune” section of the search engine and see if your family names are listed, even if the church registers are Catholic. If you don’t know where your ancestors resided, for each of the 95 archives départementales of France, I have included websites indicating where certain families lived. Don’t forget that not all members of a particular family became a Protestant. Some family members may have stayed with the Catholic Church. Finally, just to add one more complication, your family name in France would have had a different spelling than the modern one. My family name in America is Gagné, but the same family in France is Gasnier or Gagnier: same pronunciation, different spelling. When I research online in France, I enter Gasnier or Gagnier as the family name, never Gagné. Much of the information I have compiled about the Huguenots of 16th, 17th and 18th-century France comes from old books that have been digitized. Over a 12-year period, whenever I came across a book dealing with the Huguenots of France, I would extract the names of the communes in which these families resided and add the names of those communes to my database. I also discovered a database with the names of the Archives des consistoires de France, in which the communes are listed, as well as the Protestant Seigneurs, the Protestant pastors and the names of some of the Protestant families affected by court decisions. In addition, to these books, I looked at Michelin maps and Larousse dictionaries. They helped me find out, for example, that the town of Bergerac is part of modern Dordogne, a département within the south-west region of France. This region was home to many Protestant families in the 16th, 17th and 18th centuries. You will find about 15 to 20 regional online databases of Protestant communes in 16th to 18th century France, but only for certain regions. A national listing of the modern départements of France in regard to the Huguenots of past centuries does not exist online. Ida herself came from a very large family. She was born in 1862 in Les Convers, Switzerland, to Gustave Girod and Sophie Balmer, the sixth of 16 children. Her favourite aunt, Celine Balmer was teaching at a private girl’s school in Baltimore, Maryland and arranged a job for Ida at the same school. In 1882 Ida sailed to the United States for the teaching position. After a particularly bad year, with many deaths in the family, her parents decided to emigrate to America. Another son tragically died on the voyage and was buried at sea. The Girods were farmers and settled in the French community of Kankakee, Illinois. When Ida went to visit, she met the Minister, Ismael Bruneau. He was taken with her and they were soon married. Ismael and Ida then lived in Green Bay Wisconsin where their first three children, Edgar, Beatrice and Hermonie were born. A French Protestant minister moved frequently and the next charge was in Holyoke Massachusetts, where Helvetia was born. Next was a move back to Canada. Sydney, Fernand, and Edmee were born in Quebec City and Renee, Herbert and Gerald in Montreal. All the children survived except Fernand. My Grandmother Beatrice said it was his name that killed him but we didn’t understand why as we thought the other siblings had stranger names. They played funeral with him and pulled him around in a wagon covered with flowers. Although a minister’s salary was meagre the family survived and flourished. The first two sons went to McGill. One became a doctor and the other a lawyer. All the girls finished high school, went to Normal school and became teachers except Renee who attended Business school. The two youngest boys were still at home when their father died. There wasn’t the money to send them to university but they both became successful businessmen. Ismael’s death was a shock to Ida. He had preached at an earlier service in Portneuf and ran uphill from the station in Quebec City, as the train was 50 minutes late. He arrived at the end of the service and died of a heart attack. Her heart was broken, “ I must realize that my dear husband of nearly 32 years has left me forever.” She moved to her daughter Helvetia’s home in Lachute, a town Ismael had felt would be a good place to retire. She went back to Switzerland because her aunt Celine had returned, but Celine was suffering from dementia and with all other friends and family gone Ida decided her life was in Canada. One of her husband’s brothers-in-law, Emilien Frechette, whose wife Emilina Marie Bruneau had died, proposed that as they were both alone they get married. He had built himself a large house in Iberville south of Montreal and wanted company. My Aunt Aline remembered hating her mother’s visits to Iberville because she would come back with large baskets of gooseberries, red and black currents, which had to be cleaned for jam and pies. Aline’s other memory of her grandmother Ida was teaching her to play rummy and seven up. Aline said, “ She liked the little games they played and thought the ‘Devil’s plaything’ was a misnomer.” It was fine to play cards, just not on Sunday. Bruneau, Ida. A Short History of the Bruneau – Girod Families. 1993. Bruneau, Ida. letter to Mes Frere et Soeur. February 5, 1918. Quebec City, Quebec. A copy in the author’s possession. Aline Raguin Allchurch. Letter to Mary Sutherland. 2002. Author’s possession. Dorothy Raguin Sutherland’s Stories. Personal interview. 1998. Ancestry.com. Quebec, Canada, Vital and Church Records (Drouin Collection), 1621-1968 [database on-line]. Provo, UT, USA: Ancestry.com Operations, Inc., 2008. Original data: Gabriel Drouin, comp. Drouin Collection. Montreal, Quebec, Canada: Institut Généalogique Drouin. Here is a link to Ismael Bruneau, Ida’s husband. He arrived when the service was almost over. He walked to the pulpit and announced the last hymn “Seigneur Tu donne Ta Grace.” As the organ played he collapsed to the floor. So ended the life of Ismael Bruneau, my great grandfather. His life began in 1852 as Ismaer Bruneau in St-Constant Quebec, just south of Montreal. Ismaer was the eleventh of thirteen children and the youngest son of Barnabé Bruneau and Sophie Prudhomme. He attended the French Protestant school in Pointe aux Trembles and one summer went to West Randolph, Vermont to work in the mills. He spent a lot of time thinking about his future. He had written for advice to the principal of the school, Dr. Tanner who encouraged him to return to his studies and take the classes for those considering the ministry. He was not sure of that path. One day he was out walking in the woods and climbed to the top of a hill. He sat facing Canada and prayed to God about the decisions he must make. As he reported, there was a dark cloud on the horizon and a voice spoke to him as if from the sky, telling him to return home and study, then travel and spread the gospel. Ismaer continued his studies at Pointe aux Trembles and was then admitted to the Presbyterian College in Montreal, which had begun teaching subjects in French. At this time he changed his name from Ismaer to Ismael which he thought was more biblical and added Prudhomme as a middle name in honour of his mother. After graduating, he was sent to Saint-Anne’s Kankakee County, Illinois to work with Father Chiniquy. Father Chiniquy was a Catholic priest who had left Quebec in the wake of several scandals. His zeal for God remained intense but not his feelings for the Catholic Church, which he renounced. He made his beliefs known to his congregation and they all chose to follow him and convert to Protestantism. One family living in Kankakee was the Girods, who had recently immigrated from Switzerland. When their daughter Ida, a teacher in Baltimore came to visit, she was introduced to their minister. Ismael had been very homesick and often wrote letters home. He began writing about the lovely woman he had met. Then in one letter, he wrote to his sister Anais, “ Wouldn’t you like to come out after the harvest and see my wife. It would be worth it for without a doubt she is one of the beauties of the world in my eyes.” Ismael and Ida were married June 12, 1886. The Bruneaus had three children in Green Bay, Wisconsin, one in Holyoke, Massachusetts, three in Quebec City and the last three in Montreal. Ismael had wanted a biblical family, a child for each of the 12 tribes of Israel but in the end had only 10. Nine of the children survived. He continued moving and preaching, taking a charge in Cornwall, Ontario and finally in 1917 back to Quebec City. In Quebec, he had a church in the Old City as well as a congregation in Portneuf. He would conduct the morning service, catch the train to Portneuf for an afternoon service and be back in Quebec City in time for the evening service. On January 27, 1918 the train was delayed because of a troop train. Arriving late in Quebec City he ran up the hill from the station. He entered the church before the service ended but while his spirit was still willing his heart was weak. His family suffered financial hardships after his death as there were no pensions and the Presbyterian Church sent his widow one cheque for the days he had worked that month and nothing more. Villard, Paul. Up to the Light: The Story of French Protestantism in Canada. Toronto: Issued for the Board of Home Missions of the United Church of Canada by the Committee on Literature, General Publicity and Missionary Education of the United Church of Canada, 1928. Print. Here is a link to a story about Ismael’s wife Ida Girod. Barnabé Bruneau, Why a Protestant? Whenever I tell someone my ancestors were French Protestants, I always get the reply, “Oh, Huguenots”, but that is not the story. Francois Bruneau came to Quebec in 1659 from France and he was a Catholic. He married Marie Provost a Filles du Roi in 1669 and they began our French Catholic line. The family remained Catholic until Barnabe Bruneau had a bone to pick with the church and became a Baptist. The reasons why depend on who is telling the story. Barnabé was the son of Antoine Bruneau and Josephte Robichaud. He and his second wife, Sophie Prudhomme, the daughter of Jeramie Prudhomme and Louise Decarie, lived in Sainte Constant Quebec. There they farmed, raised their children and attended the local Catholic Church. Barnabé owned a number of parcels of land, one of which was just inside the border of Sainte-Catherine in the parish of La Prairie. In 1856 when the church was collecting the tithe due them from his land, both parishes wanted their tax. Barnabé refused to pay the Curé of Sainte-Catherine. He tried to stop his tithe obligation, by telling the Curé he was leaving the Catholic Church, but they still sued him. With his lawyer Joseph Doutse, who had the reputation of being a great adversary of the Catholic Church, Barnabé went to court and won. With that, he decided to attend the Baptist church, Eglise Baptiste de Saint Constant. He was the first person in the St Constant region to convert to the evangelical faith. Barnabé’s parents had already died and were safely buried in the crypt of the St Constant Catholic Church, so they were not upset by his conversion. His brother Médard continued to attend the Catholic Church until one Sunday the priest preached that Protestants were devils with cloven hooves, who worshipped Satan and didn’t belong to the true church. Médard came home from church and demanded to see Barnabé’s feet. When they were not cloven, he denounced the priest as a liar and he too left the church and became a Baptist. As there are notarial documents about the court case this is probably close to the truth but depending on which cousin you ask you will get other stories. One was that the Bruneau brothers learned that the local priest had been “fooling around” with some wives while the husbands were working in their fields and so they left the Catholic Church and became Baptists. There was another version for those who didn’t want their family to have been involved in any scandals. The Catholics in the area saw that their tithes did not provide for any schooling while the Protestant church was very interested in educating their children and had begun setting up schools. The Catholics in the area tried to persuade the church to start a school but finally, in frustration, the whole congregation walked out of the Catholic Church and joined the Baptist Church. They certainly did become Protestants. The family committed themselves to the Protestant church as Barnabé’s son Ismael, my great-grandfather had the calling and became a Presbyterian minister. Duclos, R.P. Histoire du Protestantisme Francais au Canada et aux Etas-Unis. Montreal, Canada: 1912. Prévost, Robert. Mon Tour De Jardin. Sillery, Québec: Septentrion, 2002. Print. Photograph of Barnabe and Sophie Marie Prud’homme Bruneau taken by Ayers Photo-Portraits in Jersey City, New Jersey in the 1870s. Definition: When you’ve given up your old ideas about something, or retracted a statement you made earlier, you can call it abjuration. The above abjuration is taken from the blog of Guy Perron (posted November 9th, 2014) entitled Les abjurations a Quebec de 1662 a 1757. The document: Register of Abjurations is a guide to a microfilm available at Drouin that lists the numerous church records of abjurations. This document may assist those who have traced their French Canadian ancestors to France and their research has led to the possible conclusion that at some point in time members of their family or families in New France may have been Protestants in France. Note: In New France in order for Protestants to marry French Canadian Catholic women, they had to become members of the Catholic Church.